It's no secret that cord cutting is more popular than ever -- the success of services like Sling TV are a testament to that. Indeed, entertainment fans today have far more online content streaming options than ever before. Platforms like Netflix and Amazon offer excellent value to those who prefer on-demand content while DirecTV Now and PlayStation Vue both aim to target fans of traditional live TV experiences, just without the hassle of a contract or cable box. Editor's note: This story has been updated with a response from Comcast, see that further down below. Naturally, this trend hasn't exactly been ideal for ISPs that offer video services - cable TV subscriber numbers continue to drop while the number of cord cutters increases. Some ISPs have simply adopted an "if you can't beat 'em, join 'em" approach to the situation, as evidenced by Dish Network's launch of Sling TV and DirecTV's debut of DirecTV Now. Other ISPs, however, are looking at alternative methods of keeping customers tied to their cable boxes. 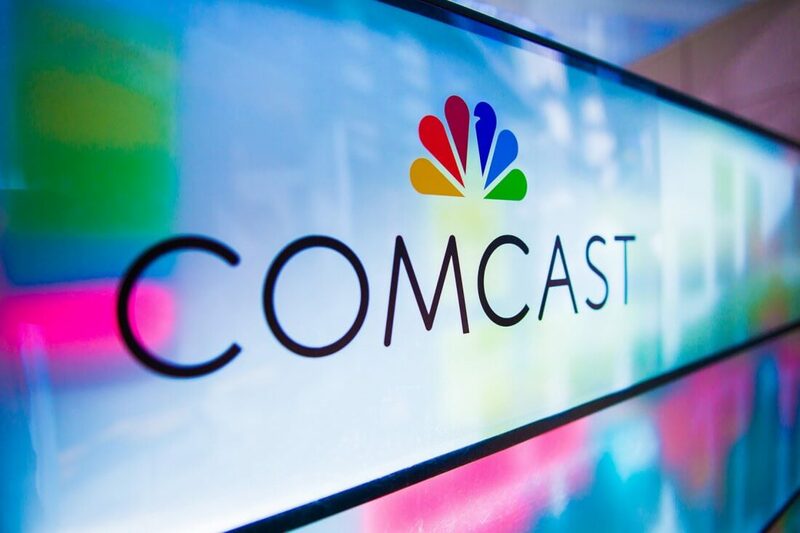 As Ars Technica reports, the latest company to do so is Comcast. According to the outlet, Comcast last week announced that numerous significant internet speed increases would be rolling out to select Houston, Oregon and Washington-based customers for free. These speed increases would reportedly kick in "automatically without raising [customers'] monthly bills" and would more than double some customers' internet speeds. For example, customers who subscribe to Comcast's 60Mbps internet plan are being upgraded to a 150Mbps connection, while some 250Mbps subscribers are being bumped up to a 400Mbps connection. If you think that sounds a little too good to be true, you'd be correct, as there's a pretty major catch. Specifically, you'll need to subscribe to a Comcast bundle that already packages internet and TV services together to receive these increases; it won't be enough to be an internet subscriber alone. Moreover, there's another factor to consider which is data caps. About two years ago Comcast introduced an increased 1TB data cap effective to most customers and that was seen as a positive thing, while other companies like AT&T said they would impose a cap except to those subscribers who also had contracted TV service (AT&T owns DirecTV). Comcast lost 151,000 pay-TV customers in 2017, though according to Leichtman Research Group, industry-wide cable television providers lost 1.5 million video subscribers in that same period. Comcast remains the largest broadcasting and cable television company in the US with over 22 million video subscribers and 26.2 million Internet customers, but evidently pressure mounts as on-demand video services like Netflix continue to grow. According to Ars, other services like Sling TV and DirecTV Now are also surging adding hundreds of thousands of customers last year alone. Only time will tell whether or not Comcast's latest gambit will lead to increased cable subscriber numbers. Update: A Comcast spokesperson has reached out to comment on the situation, claiming the company has already offered Internet-only customers speed boosts of "at least 50 Mbps" in more than "two dozen different states" across the US during 2018. This year alone, we have boosted speeds for Internet-only customers and customers in packages in more than two dozen different states across the country which added at least 50 Mbps more speed for these customers. In a few of our markets, we are also testing different multi-product packages by changing the Internet tiers for various packages we offer. 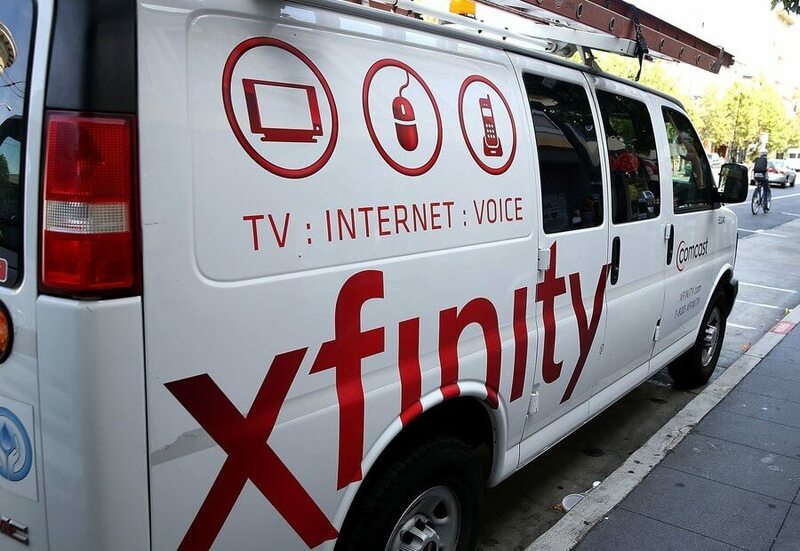 Importantly, all of our internet tiers can be purchased as a stand-alone service by ANY Xfinity customer. We continue to deliver the fastest speeds to the most homes in the country – in fact, 75% of our customers now have speeds of 100 Mbps or higher and Gigabit service is now available to more than 90 percent of our service area, including Internet-only customers. BoardDouche1: We should cater our internet speeds to outsell Comcast! Boarddouche2: why don't we just do what Comcast does in our coverage area? What are they going to do, switch to Comcast? JamesSWD, thelatestmodel, SirChocula and 6 others like this. As long as they don't jack your price for the same internet service if you don't have their TV service by all mean it's an added bonus. If they start screwing those that have internet only with higher price and lower bandwidth cap that is another story. Though nothing prevent to jack up the internet only price down the road. merikafyeah, VeeTeeF, Tanstar and 3 others like this. It wasn't that long ago that Comcast wanted to merge with Time Warner and was denied because out of 17 providers in the country at the time, these two agencies were rated 15th and 16th in customer service. I blame this as a major issue causing customers who watched their rates go from under $35 to over $120 per month for the exact same service routinely (along with many other offenses) to flee to cord cutting or go broke. I am over the moon happy with my cord cutting, a la carte, customized, watch it any time I like it TV. Comcast deserves everything they are getting and this plan will only send them down the tubes faster. More hilarious laughter. thelatestmodel, SirChocula, VeeTeeF and 3 others like this. And somehow this is reported as 'limiting internet speed?' I have AT&T - I hope they roll out an 'internet limiting' policy soon too! I think they are testing the water it does feel like its the two tiers speed(one fast and one slow) that peoples were worried about though. psycros and AmyCVT like this. Good thing that's only 23% of the US and even less in the markets comcast actually serves. I think they can take the 5% subscriber loss. This is just one development in a long string since the removal of Net Neutrallity. I noticed they also removed the exact speed of my internet package from my bill and online as well. Now you've got to call them up to get that. Just the lack of transparency NN was against. This is only funny if you haven't been on the same 15 Mbps plan for the past 10 years. Everyone should get the upgrade, regardless. The precedent this sets for putting further pressure on cord cutters is obvious. They can keep their subscribers at the same speed until they pay more money, which is ridiculous given that the cost of Internet in the US is already pathetic compared to other 1st world countries. SirChocula, VeeTeeF, psycros and 3 others like this. 15Mbps is 5 times better service than we currently have. People still use Comcast? In 2018? Why not? It's even harder to believe people still use AOL. Let me stop you right there. Net Neutrality would have done absolutely nothing to stop this, just like it did nothing to stop home ISP data caps. Net Neutrality is a toothless measure that prevents companies from throttling certain websites (as the supporters have preached to me ad nauseum), but if you're not offering a certain speed tier without a bundle (thus all websites are subjected to that "lower" speed), that's doesn't exactly fit the bill does it? TheBigT42 and bolski like this. If they were upset about losing customers before, wait until they leave in mass exodus after this little stunt. SirChocula and AmyCVT like this. I've had two people give me AOL email addresses in the past year. Each time, I checked my pulse to verify that 1) I was still alive and not hallucinating, and 2) had not accidentally traveled back in time. Under Net Neutrality ISPs were required to report if they did or did not have data caps. Now they are not required to do so. NN toothless? That's what you say but for some reason Ajit Pai seems to completely disagree with you since his reason for it's repeal was that it was too "heavy handed". I fail to see how asking for more transparency is too much to ask. While NN didn't force companies to do a ton, what it did do is ensure consumers knew what service they were getting. That's a heck of allot better than what we have now, where companies can apply arbitrary caps and extra fees without prior notice. NN did allot more than prevent throttling. It reclassified ISPs as title 2 common carriers (with certain sections exempted), prevented throttling, and implemented transparency and fairness rules for ISPs. While NN is light touch regulation it was an important step forward. Even if someone had proposed something with more teeth, it would have simply been shot down by the republicans on the board or reversed by Pai. Stark, SirChocula, VeeTeeF and 4 others like this. DSL or satellite? Either way that's terrible. When bill payment and job applications have mostly moved online, that kind of internet speed is going to seriously hamper your ability to function. cliffordcooley and AmyCVT like this. Virgin Media (Liberty Global) in the UK are doing something similar, I can only get their top 350Mbps package if I subscribe to their TV bundle. Fortunately the current 200Mbps is more than enough for me at the moment. I fell heir to FIOS, after Verizon took down the 50+ year old copper telephone lines, and so discontinued DSL. I have the lowest tier, 25/25, and trust me, I haven't seen any server even come close to being throttled by my connection. Of course it's just me here, so one device at a time. For those with a dozen children and their friends using your connection...YMMV. Evernessince, cliffordcooley and AmyCVT like this. I haven't seen any server even come close to being throttled by my connection. LOL, it is difficult to imagine a "TechSpot Addict" as being someone who never streams UHD movies or downloads any software. I don't know where you folks have been, but Comcast has been pulling that dirty trick in my area for years. When I moved into this house, I considered just getting internet, as I didn't watch much TV. Internet alone, without a TV package, was $69.95. If I at least subscribed to Basic Cable ($12), the internet dropped to $49.95. And that was 12 years ago. God only knows what ridiculous price increase I would see in my internet price now, if I dropped TV, because they refuse to make their pricing public anymore. But I do know that unless you subscribe to a TV package, they take away all but the slowest connection speeds. It makes Sling a poor option, and a financial wash in the end. Evernessince, MortonWatts, VeeTeeF and 1 other person like this. Well, just call me old fashioned. Any software I use is on physical media, and as long as there's Redbox, 1080p is plenty, thank you very much,. Besides, you know I only come her to listen to run your yap and dwell in the mediocrity of how swell you think you are. Now why dontcha head on over to PB and catch yourself a virus? OK there "eyeball". People get FTA (free to air) satellite system and you get all of the channels in the world for free. This is how I watch tv and I get free hbo and showtime, and watch ppv for free. Yes you need to get a big ugly dish with a motor but it is worth it. I have this and I wont look back at ever paying for a cable tv bill ever again. Obese lazy corporation punishes it's customers for finding the best value for services they seek. What a joke. Wait until we can cut from Comcast. Where is the Netflix equivalent to internet service providers? merikafyeah and MortonWatts like this.